We collaborated with Asian Americans Advancing Justice-Los Angeles, Asian American Legal Defense and Education Fund, National Education Association, and Services Employees International Union to survey 2,391 voters from diverse Asian ethnic groups in six languages. 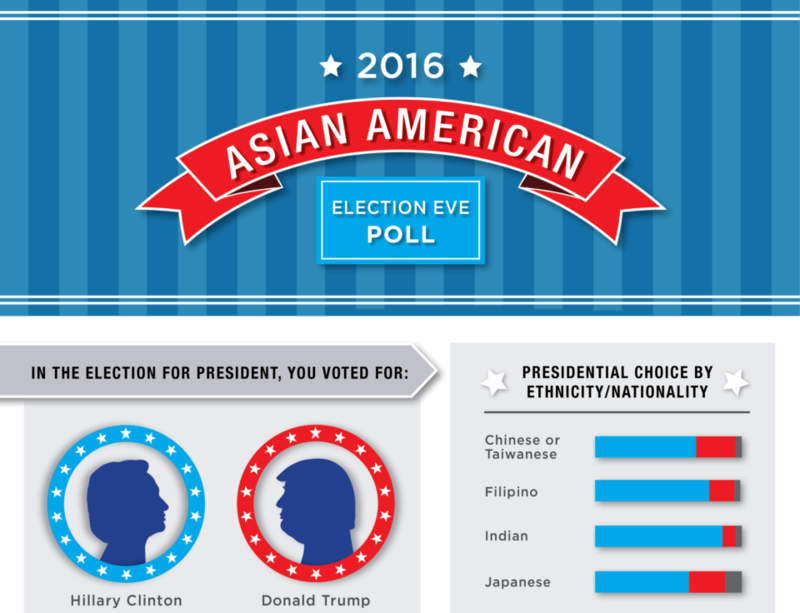 In the 2016 Election, Asian Americans favored Clinton over Trump by a 75 to 19 margin. Asian Americans also heavily favored Democrats in Senate and Congressional races.